Whether you have a closed or open hydraulic system, with or without load sensing, you need a high-performance hydraulic pump and qualities accessories. Parker can provide just about every pump-related part you might need for your hydraulic equipment. At Bernell Hydraulics, we are proud to carry a wide selection of Parker hydraulic pumps in Chino Hills CA, because this allows us to offer our customers excellent pumps. Parker hydraulic pumps in Chino Hills CA work best when used in conjunction with other authentic Parker parts, like pressure switches, regulators, gauges, and accumulators. 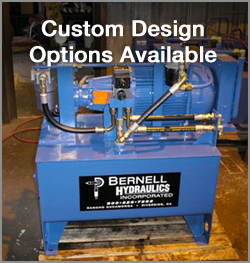 At Bernell Hydraulics, we can help you select, order, and install your pump and its important supplemental parts. Our sales staff can help you find whatever parts you may need, and our expert mobile field technicians can install them for you at your work site.